Popular Nigerian blogger, Linka Ikeji has come under attack on social media after she finally opened up on her relationship with an oil magnate, Sholaye Jeremi. Reports had it that Ikeji had a relationship with Jeremi, adding that the oil magnate was responsible for the blogger’s son. She had, however, been silent about the claims. However, the 38-year-old blogger, in a statement she personally signed yesterday, confirmed that Jeremi was the father of her son, Jayce. 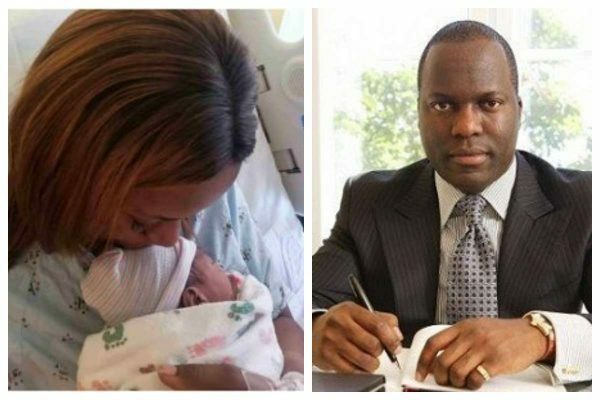 In the statement, Ikeji also confirmed that the billionaire businessman dumped her after she got pregnant. Her recent revelation stirred divergent reactions from Nigerians criticizing her for having a baby out of wedlock despite her backlash at ‘Baby Mamas’. The blogger in times past was quoted to have said she would never have a child out of wedlock and strongly kicked against the ‘Baby Mama’ trend. @Is_salsu “My problem with Linda Ikeji is this Holier than thou attitude.From talking about celibacy to getting pregnant.From mocking a baby mama to becoming a baby mama. @Saintlummy “Don’t understand why you all dragging Linda Ikeji. She didn’t force you to believe her or hold her to any high moral class. She preached her opinions like every human but you were gullible to see her as better or more knowledgeable than you. She didn’t force any of you. Get a life! @ComehomeTj “What did I learn from Linda Ikeji recent story? (1) Never criticize fellow human being because you may found yourself in their shoes one day. (2) Whatever life throws at you, take it in good faith. (3) Nobody is above mistake or a test of time. @Lil_hos “Linda Ikeji spent most of her blogging days slandering and castigating “Baby Mamas” until she tragically became one herself, now all she does is try to control the damage. Moral: be careful who you mock or laugh at, you don’t know how they got in that situation, Karma is Real!